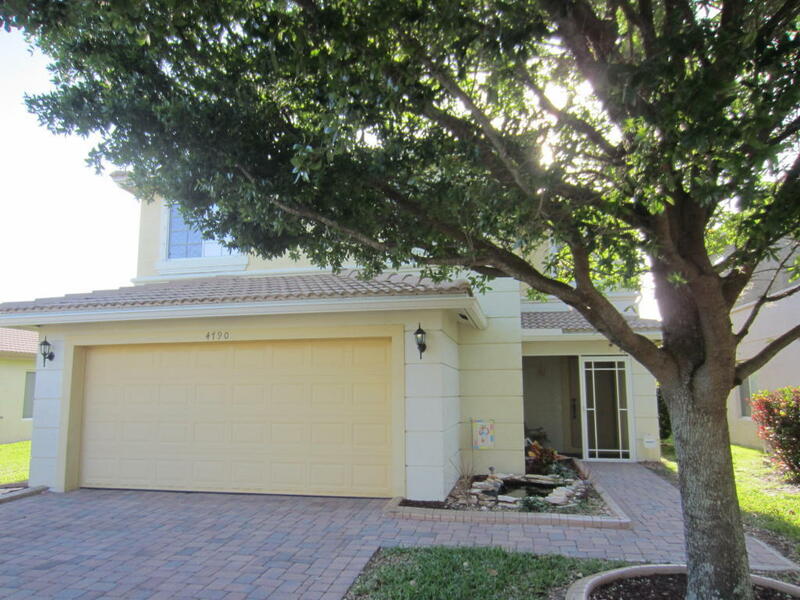 This 4 bedroom 2.5 bath home in Martins Crossing located in Stuart boasts Kitchen with stainless steel appliances and granite counters. This home is move in ready, has been well maintained with washer and dryer both being less than 1 year old. Enjoy the water view from your screened in Lanai. 18 tile on the diagonal in dining room and kitchen as well as high quality dark wood laminate in living room. All of the bedrooms have ceiling fans. Outside the home has concrete designed landscape borders as well as a functioning pond. The community has 2 pools, clubhouse, fitness center and playground. The monthly dues at $172.00 include lawn care, use of facilities, HD cable with 2 DVR's included as well as internet. The community is also located approximately 3 miles from I95 and US1.